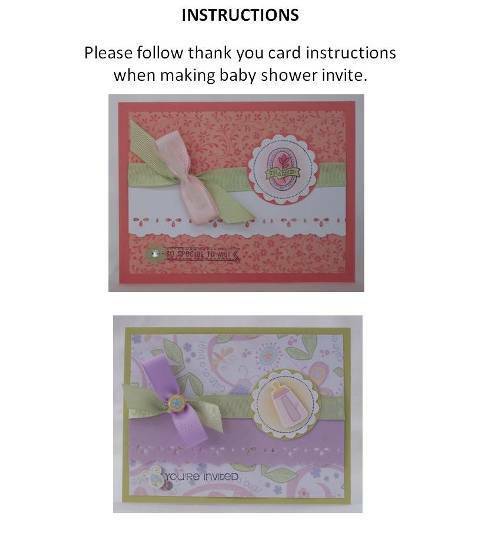 Create a homemade baby shower invitation using cute prints. Find lots of handmade card ideas for baby showers using stickers, trim and craft punches. 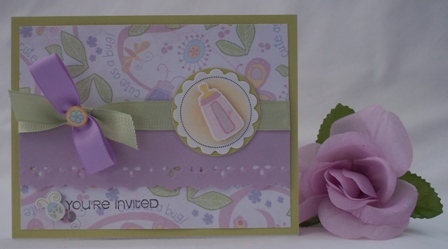 For this baby shower invitation idea, I used several craft punches. I used Fiskars' Embossing Border Punch - Eyelet Lace on purple paper and Fiskars'Scallop Squeeze Punch, extra large to encase the bottle sticker. I also used Fiskars' Squeeze Punch Extra Large Round and Round craft punch to create the border for the scallop circle. 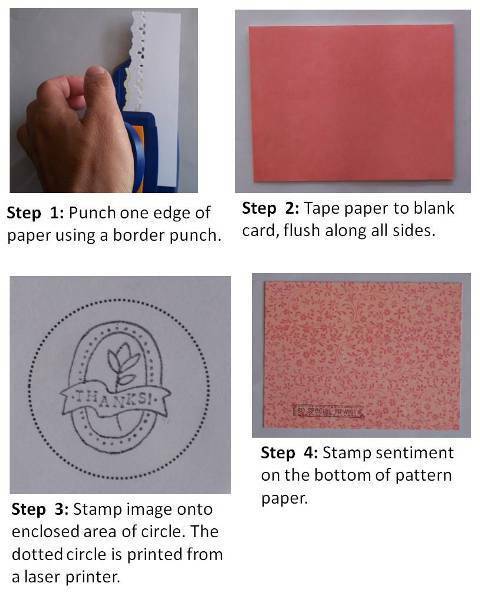 Don't forget fun stickers when you create baby shower invitations. 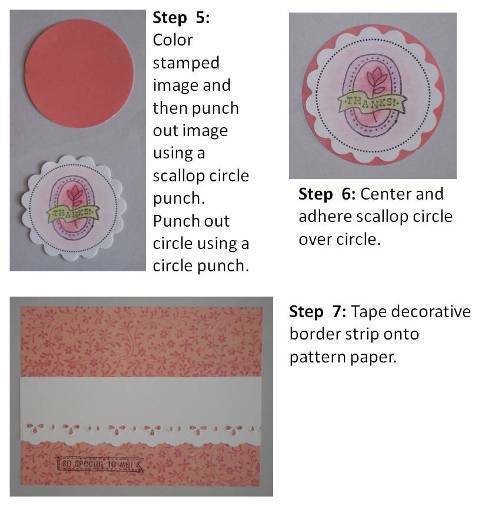 For this handmade card making project, I used stickers that came in a small pack but you can print and cut out clip art and add foam tape on the back or get a sheet of inexpensive stickers if you are on a budget or use a stamp for the image inside the scallop circle. 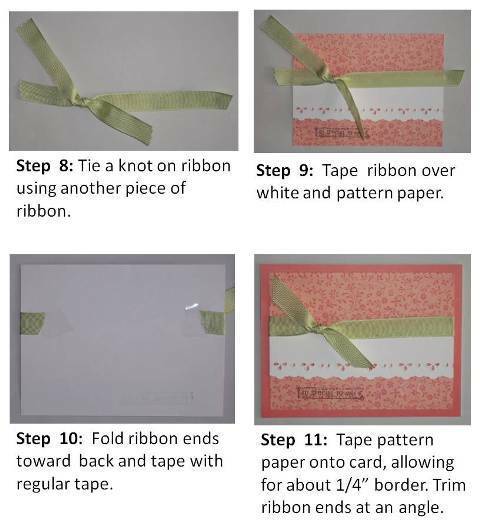 For baby shower invitations, use different colors of ribbon that coordinate with the print. I use a lot of ribbon for my homemade card ideas, especially in baby cards because it just adds to their cuteness. Paper card making ideas to make baby shower invitations can be endless with cute paper and embellishments available these days. 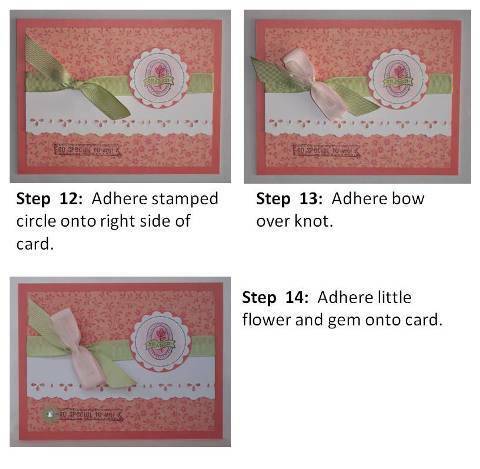 Card Making Magic - Make cute diaper fold cards and use them as favor containers or as an invitation.